This timeless cardigan by BOSS Business (previously BOSS Black) will be an essential for your smart office wear. 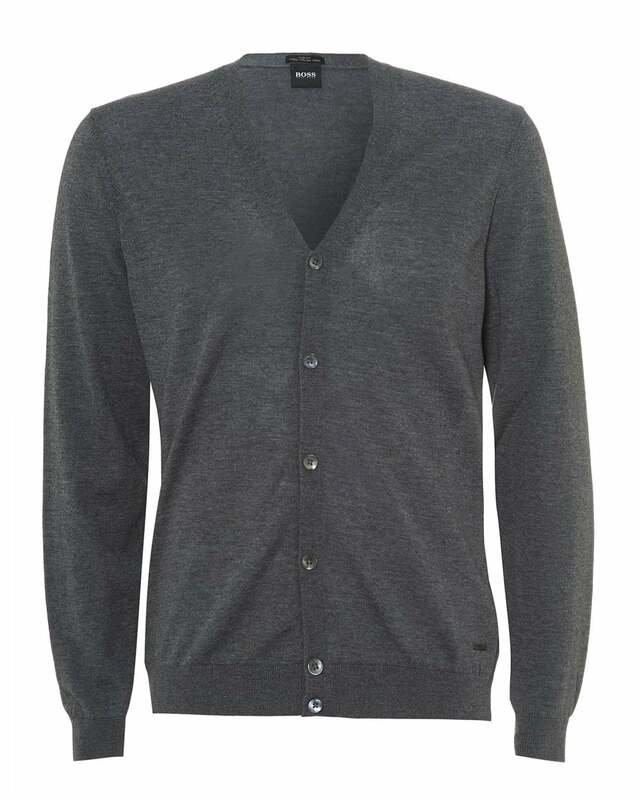 Featuring 6 button fastening on a charcoal grey high quality cotton cardigan. This slim fitted garment is perfect for layering under a blazer or for smart-casual dressing.